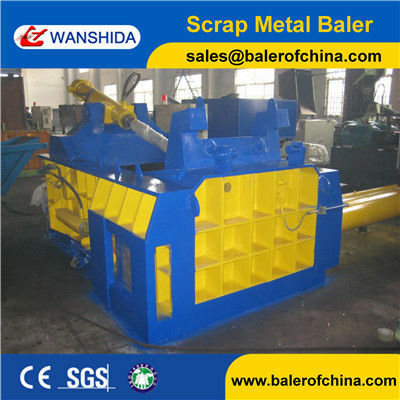 With bale side out, this Y83/T-250B scrap metal baler Metal Baling Press is mainly suitable for the metal smelting factory with medium and large scaled output, metal processing and recycling plant and other places. For the customers in Russia and Ukraine, this product is extremely popular and it is one of our best sellers. Its outstanding stong points are high stable performance, low failure rate, high production efficiency, high density of bales and so on. 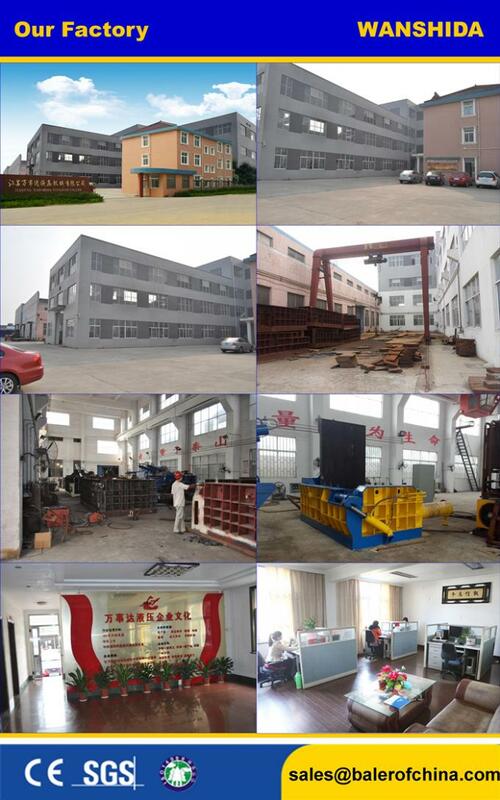 Our scrap metal baler can be manipulated by hand or PLC. According to the requirements of users, its compacting box varies in size, such as 2000mm×1400mm×900mm or 2000mm×1750mm×1200mm. In addition, this product is allowed to be structured with pull rod so as to be convenient for assembling, disassembling, transporting in containers, decreasing the cost of delivery. The applicable thickness of the processing materials reaches 5mm. The motor of 60kw or 74kw can be configured as required. 1. 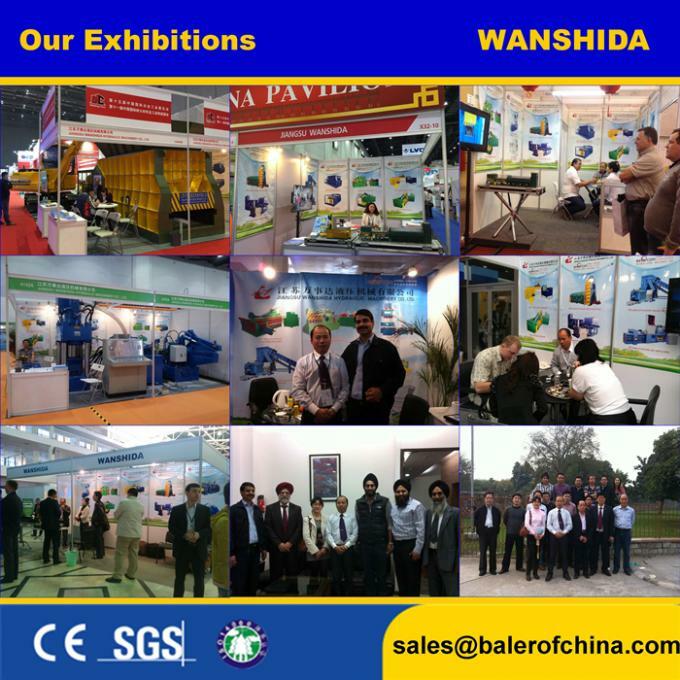 This side push out baler adopts the hydraulic drive system, reasonable design and compact structure. It is characterized by small volume, light weight, small inertia of movement, low noise, high moving stability, operating flexibility and other strong points. 2. With the incorporated hydraulic and electrical control, this machine is user-friendly and it is easy to realize the overload protection. 3. It is well adapted to different working conditions and has wide applicable range, like processing equipment in the metal recycling and processing unit, furnace charge processing machine in foundry, etc. 4. 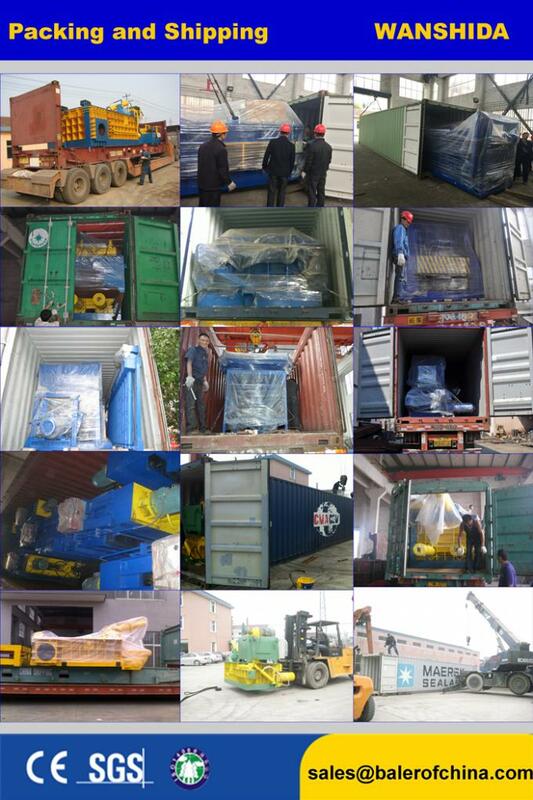 Our side push out baler is energy saving, convenient for installation, safe, reliable and efficient while working.